You shouldn’t spend much time on creating your weekly to-do list. It shouldn’t be a very involved process. The more time that you spend setting up your list, the less time you have to do actual work and check items off of your list. Setting up a weekly to do list should be a quick process. Write down what you need to, figure out how you are going to do it, and then begin the process of getting it done. A weekly to-do list should help you accomplish your tasks in less time and a more orderly fashion. You may be wondering how to get started with a to-do list. That is what this post is for! In it, I will answer some of the most pressing questions about to do lists, including where to put the tasks and how to break them down. Besides, I’ll review the best way to phrase the tasks and what resources may be necessary to get the job done. 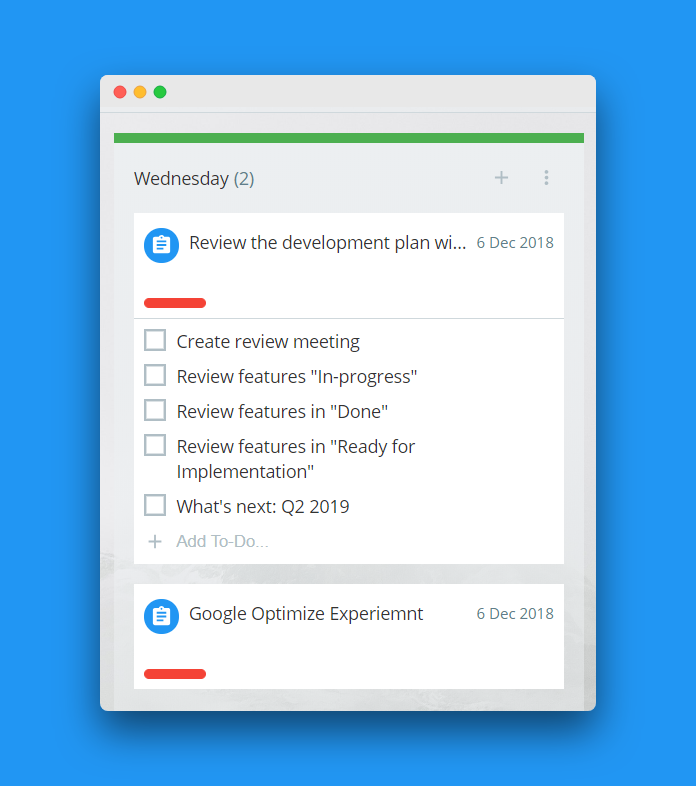 Read also our specific article on Gmail Kanban to do list. Where Do the Tasks Go? Do you have any experience with a time management app? Do you like what you are currently using? 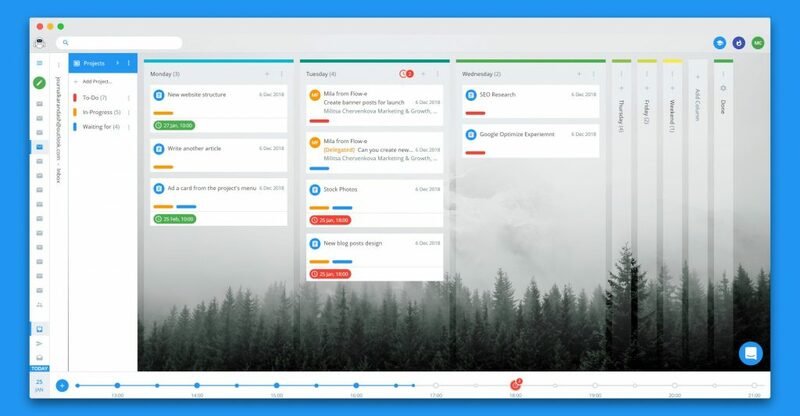 There are a variety of task management apps on the market. Which one you select depends entirely on what you need to use it for and what you like. Certain apps will help you accomplish your tasks. Some are complicated while others are very easy to use. Make your decision based on what will allow you to function most effectively. 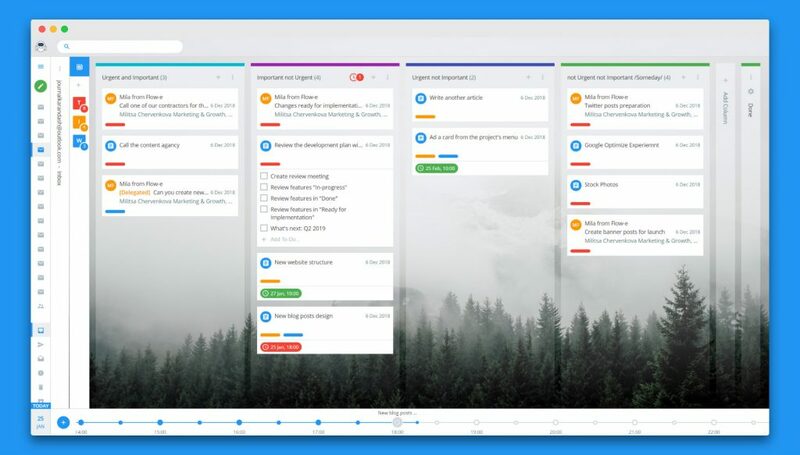 When it comes to task management, you need to approach the job at hand while thinking about how to get things done. Take everything that is currently in your mind that you need to accomplish, figure out what has to be done, and then knock your tasks out one at a time. 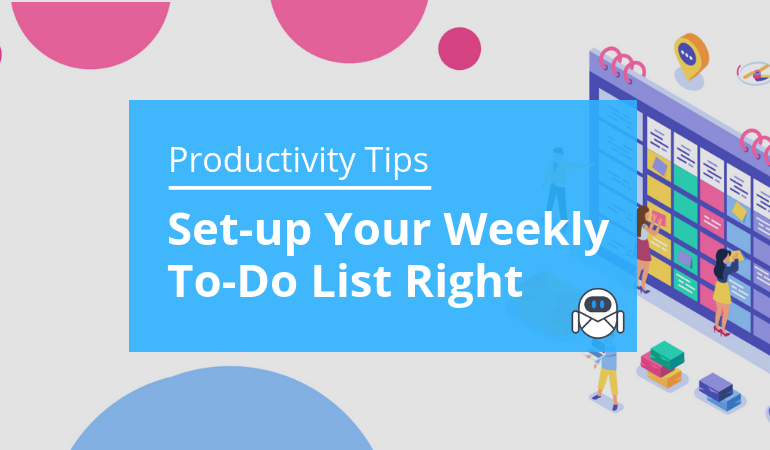 A weekly to do list app to assist you in this process needs to have a few things, including projects with tasks and sub-tasks, prioritization and ways to organize (tags, filters, search). Flow-e fits the bill. 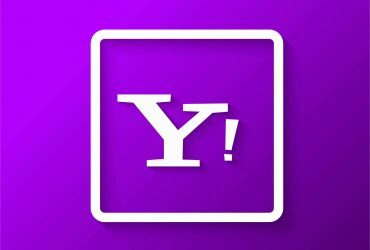 It does everything noted above and is available on just about every platform. You can put in your tasks and know that they will be available to you no matter how you choose to access them. If you have a task that will take some time to accomplish, it is a good idea to keep track of how you are progressing. A Kanban board is an excellent idea; it allows you to monitor how far you have gotten and lets you see what you have left to do. Don’t make things complicated if they don’t have to be. Perhaps you just need a few lists, and you want them to be organized. However, you may be confused about how to get the tasks done effectively. Once you have written down the tasks that need to be accomplished, you may still have some things left that are more like projects. If you think about them and recognize that they cannot be finished in one step, you are dealing with a project. That project needs to be broken down into a series of manageable tasks. Projects can vary in scope. If you have a very large project, it may not conceivably get done for several weeks to several months. In this instance, create a section for the project in your app where you store your to-do lists. You can also add the project to your Kanban board. Write down all the things that you need to get done. Take those tasks and break them down even further, into smaller steps. Each time you have an item, think about what you have to do to accomplish it. That is a sub-task. If you want to be successful and continue to make progress with your project, the tasks have to be named correctly. it should be something that you are capable of doing . How you label your to-do list has a direct impact on how much work you get done. Tasks are meant to be checked off your list, so they should be actionable. 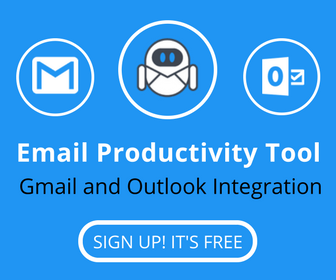 When you use a tool that allows you to organize tasks, you can also keep any resources that you need access to you. Flow-e is often utilized as a task management tool. It is always a good idea to utilize a tool that allows you to put resources right inside the task so that you don’t have to look for what you need when you need it. For example, if there is a spreadsheet that is relevant to the task, you want to have it handy. Flow-e is a simple, effective tool that gets the job done. Many people today have to-do lists that are unstructured messes of action items, but it is possible to avoid this problem! In this article, I will show you two highly recommended techniques to get a to-do list prioritized quickly and without too much effort. In fact, the methods can be easily applied within five minutes, and you will know exactly what to do next. Here is a method for task prioritization the from former U.S President Dwight D. Eisenhower. 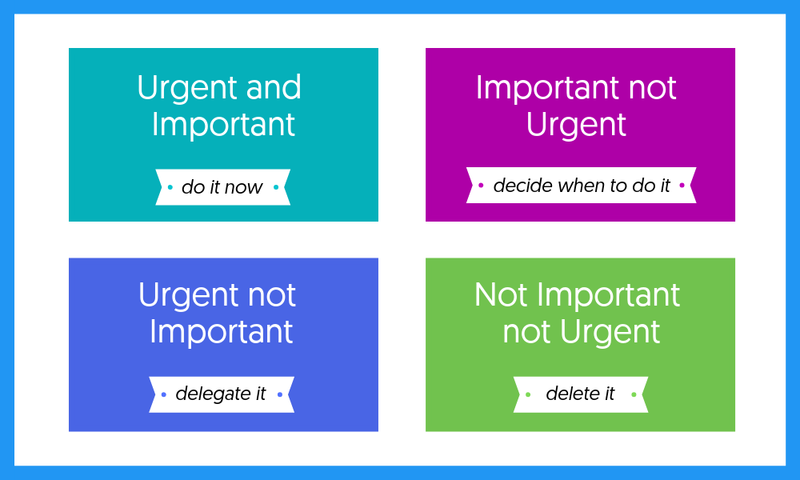 The first step is to slot your tasks into one of four boxes ranging from urgent to important. This task prioritization technique was formed by former United States President Dwight D. Eisenhower. It was this quote that introduced the Eisenhower Matrix – a four-box system used to organize tasks according to their level of importance and urgency, and then get the task done. The Eisenhower Matrix places tasks into two categories which will help prioritize the task. This is the speediest means of getting all items in order at the start of the day. Plan of action: Get into the habit of categorizing tasks quickly by using a checklist on your to-do list. The task has low effort but high results (80/20 principle. There are consequences of not doing it, and the effects are immediate. The simplest means of finding the most important tasks for a day is to choose the top three most significant tasks. This method comes from Zen habits and can be found in the Zen to Done book by Leo Babauta. According to Babauta, each start of the day you must review your daily or weekly to-do list and write down the top three tasks you would like to accomplish in the day. This is the planning system in a nutshell, and you won’t need to do any more than that. 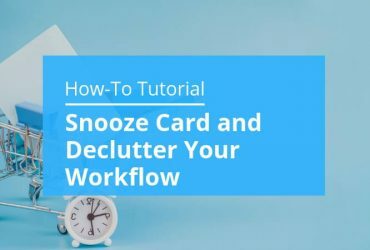 Using the additional methods in this article, you should be able to easily choose the top three most important tasks at the beginning of a day; thereby, reaching the path of an effective to-do list. The real beauty of this method is that it relies on your basic intuition. Once you have completed a few projects, or are swamped by overwhelming to-do lists, you will learn how to instinctively choose the most significant tasks to complete in a daily system. In the end, there is no full mathematical formula to complete the task; however, there are certain techniques to be used to make task prioritization simpler and a habit. This will ensure it becomes a skill you can hone to work more quickly. You find yourself facing several tasks that are marked for later, or pending another person’s actions. Does the question remain when will “someday” be? What is the next action to take when dealing with these tasks? In some cases, you can become so focused on setting priorities and extinguishing fires that half of the tasks to be completed are left sitting out of sight. This is the type of behavior that often prevents people from reaching goals and finishing work that matters. 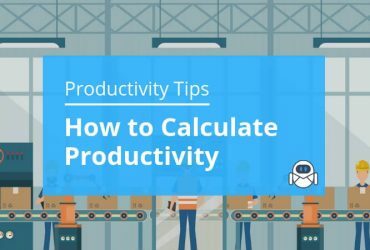 Using some help from GTD, as well as some inspiration from task management systems, I have pieced together an easy, actionable guide on how to carry out weekly reviews on productivity. If you do this every week, you will be sure to remain on top of your game! All to-do lists present with two sections: the inbox, and a section for processed items = workflow (including projects, priority and labeled items). Collect all items from your to-do inbox and transfer it into the section for processed items by moving it into the correct project, tagging/labeling it, and, in this way, prioritizing it. Your calendar timeline for a particular date in one view. It is also important to note in this part that you should collect all of your loose papers, such as items from general miscellaneous material or various apps. Process these items into the to-do list or archive them if they are not relevant. It is essential your weekly to-do list is gathered in a single place, and this place should be considered the central hub for work. Once you have processed your different sources into the inbox, you should ensure all the tasks you have completed checked off. Move/mark any task that is in waiting for phase as “waiting for” column/label if you are waiting on another person’s action. Furthermore, it would help if you wrote the following actions for larger inbox tasks before processing the items to the correct project. The next step is to process any upcoming tasks. Check your calendar and view any items you may have coming up for the following month that requires action. Process these items on your weekly to-do list ensuring that the calendar event times are correct. 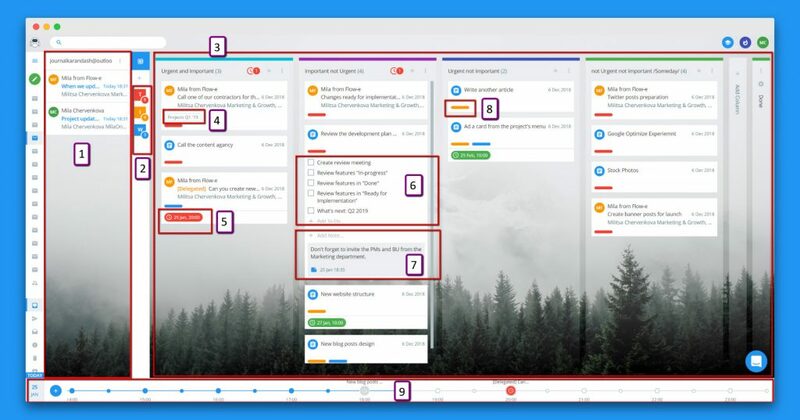 An advantage of the Flow-e before other email productivity apps is that it presents with a built-in timeline at the bottom of the Kanban board. You can view all upcoming events and deadlines in the timeline view. It is time to follow up and discover the status of tasks that are currently pending for another person’s action. Pester the people if you need to! It is a horrible feeling to have a full to-do list tagged with ‘pending’ and not moving. When viewing your weekly goal list, it is recommended that you add the next actions for all goals to ensure you remain ahead of things and make progress. Update the projects with new material gathered over the previous week, and attempt to get other items grouped together. Review the tasks and check you have completed the steps required in your weekly process checklists. Snap yourself out of your reverie and change the ‘someday’ tasks to priority items!